The basic requirement for Andrésy Confitures’ recipes is the best fruit, harvested at optimal ripeness. 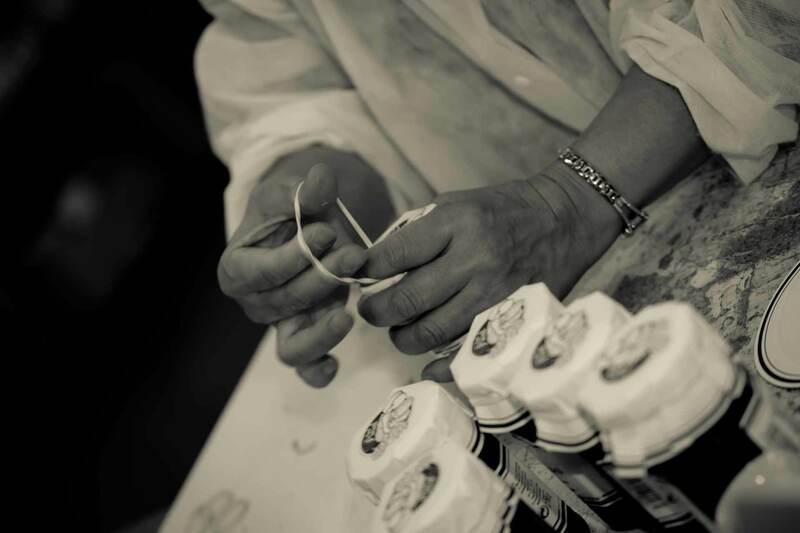 With modern fruit conservation techniques, the company can keep its customers happy throughout the year and be ready when new jam trends emerge. Apples used to be kept in the cellar so that they could still be enjoyed even several months after harvesting. This didn’t work, though, for fruit with a high water content, such as red berry fruit. To prevent the fruit going off, it had to be preserved in sugar. This was how jam came to be invented: the process made it possible to enjoy summer fruit all winter long. From a locally-grown, home-made product, jam has evolved into what it is today thanks to modern technologies for preserving fruit, which have made it easier to transport. In the beginning, Andrésy used to rush to cook the fruit harvested in orchards in the Île-de-France region, very close to the workshop. It processed the fruit growers’ produce, then delivered the bottled jam back to them, which they then sold themselves. New consumption patterns have changed all that, creating demand for more and more varieties and ever-greater quantities. Fruit growers seized the opportunity and formed cooperatives to sell their production. The fruit was sorted, tailed, de-seeded, prepared and calibrated… but there was still no way to conserve the fruit during transport. Quick-freezing technology solved that problem and has been steadily improving ever since. Today, the Individual Quality Frozen (IQF) system makes it possible to freeze small quantities and each fruit can be processed individually. – it has the latitude to organise and schedule the work. Most importantly, though, it uses fruit that is at the optimum stage of ripeness, and frozen as it is picked. Deliveries are still grouped, though, to reduce the inconvenience caused by traffic between the harvesting areas and its workshops. When the fruit is ripening in the trees in spring, the growers are always a bit worried until the “Ice Saints” have come and gone! This is a crucial period, around mid-May, which has a decisive effect on the state of the harvest. Until then, they can only cross their fingers and keep a close eye on changes in the weather in each region, and their consequences on the orchards. In early June, Andrésy sends out its provisional requirements to the fruit growers, who must meet the technical specifications for each type of fruit. 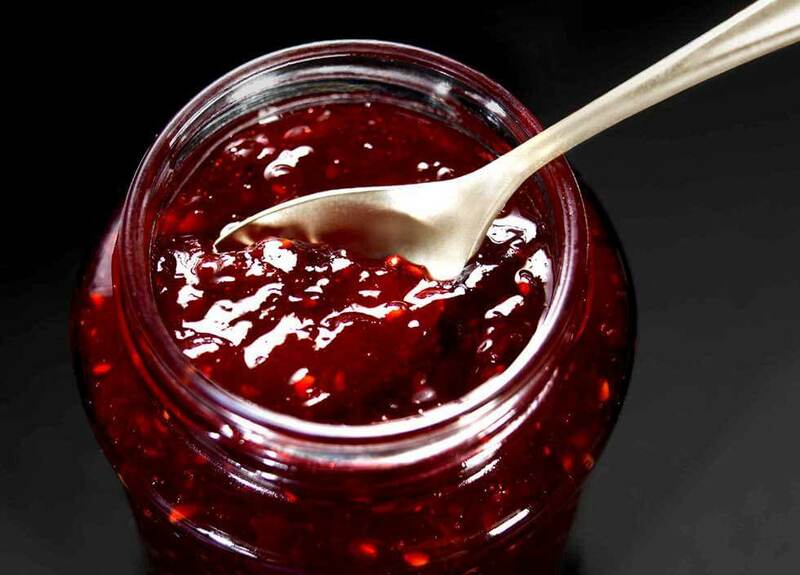 Few people are aware, in fact, that the fruit they buy on the market or grow in their own garden may not be right for making jam. 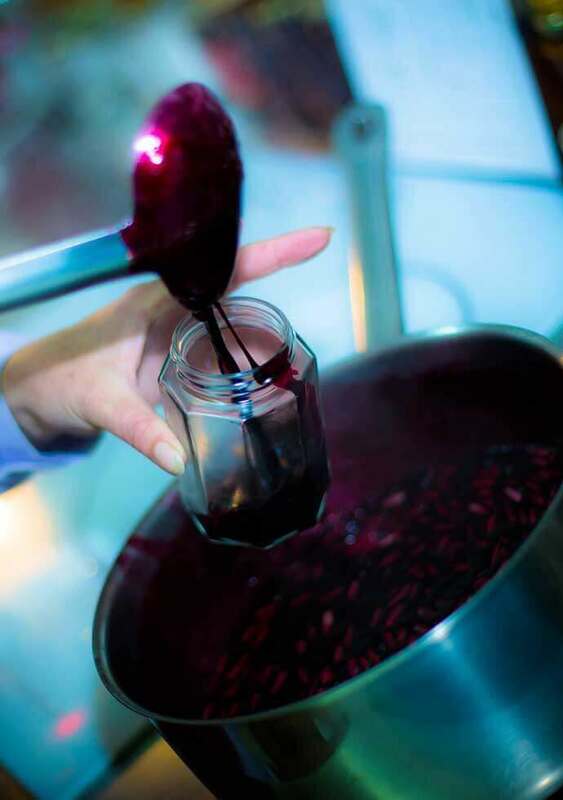 Andrésy chooses varieties that are particularly suited to cooking premium jams, and prepares them in a way that brings out their flavour when they are cooked in copper jam pans. The uncertainties of the weather and fierce competition mean that sometimes there is simply not enough fruit available. This is why Andrésy has a strategy of setting aside reserves during good years to offset shortages in lean years. This is not always easy, since French figs, for example, or certain varieties of strawberry or raspberry are in great demand. But, whatever the harvest levels, Andrésy is duty-bound to honour its customers’ orders and meet their demand for quality. It must also continue to innovate and anticipate trends in jams so that it can win new customers and expand into new sales areas.